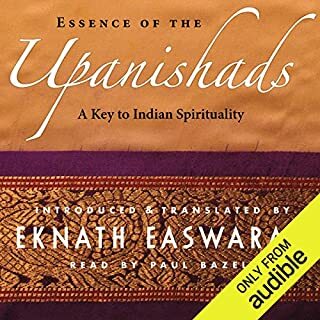 This is a magical classic, the only autobiography of a prominent real yogi ,I know of in existence, who was acknowledged by both East and West in the 1930s. it is well worth the read for the fascinating story alone. This is a great book! Sir Ben Kingsley does an amazing job of narrating the the life of Yogananda. 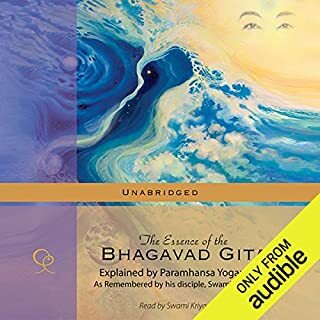 The story itself is very very interesting and the lessons convey are interwoven into the story of Yogananda's life but also explicitly told in other parts. Some areas did become a bit dull at times but this was few and far beyond in this 12hr + book. I was eager to get into it when I had read that Steve Jobs had left a copy to all of those who attended his funeral. It is one that requires some level of spiritual understanding, otherwise it might be a bit much. I enjoyed his experiences and opinions about life and the Dharma. Inspiring work and an uplifting collection of tails from a true saints life here on Earth. Beautifully read. A blessing to all who look for greater meaning to their life here and beyond. At a loss for words I can only supply thanks to the author and his divine teachers. Thank you for helping me. With sincere love, thankyou. A modern classic telling the life story of a 20th century yogi who persists against many set backs to reach his heart felt goal to realise god. This is, however, not a propaganda piece but an account of the successes, many failures and painful lessons that transformed an eager youth into an inspirational teacher of millions in both west and east. The story is narrated by one of the very best in Ben Kingsley, who takes great care to pronounce non-English names and words correctly. An interesting story that draws the reader in, even if not seeking spiritual guidance. This book is paradigm shifting. Thanks to this book, I have started learning kriya yoga. Life changing experience.. Must read. Excellent. Life changing experience.. Must read. Excellent narration. Gives immense peace and direction. Worth it and effective in calming mind. Many have read this book, and have come away inspired to follow the path established by its author, P. Yogananda. Others have simply been left with a fascinating story about a man who came to America in 1920 with nothing, and by the time that he left his body, had met with the President of the United States and future governor of California and established a religious path which is still standing to this very day. Regardless of the vantage point you may be coming from, this is a delightful read, and an excellent introduction to Eastern religious thought -- the way it had been originally taught -- before it was watered down by charlatans simply looking to cash in on the "latest fad." The audio version is an absolute delight, and Ben Kingsley's reading is inspired. This is not a man "going through the motions" to collect a paycheck. Every single word is thoughtfully and smoothly enunciated, making this a pleasure to listen to. Thus, I would highly recommend this to even those who have already read the print version. Finally, let me recommend the following: don't listen to this while jogging, driving in heavy traffic, or while otherwise distracted. Set some time aside and listen intently. An elegant discourse on Why? I downloaded this book out of curiosity; I wasn't looking for enlightenment or truth. And with a length of nearly 18 hours, I didn't expect to listen to the whole thing. But I did, and I enjoyed every minute of it. 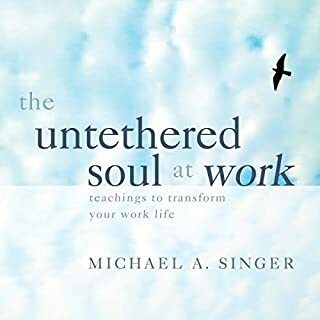 I can't say it transformed my life or that I agree with what the writer believes in, but it has brought me to a deeper appreciation of another way of "right living", another way of looking at and valuing the things in our lives. It also opens a window into a certain period of time, the religious life in India from the later 1800's to early part of our century which is very fascinating to behold. Kingsley's voice is gorgeous and infuses elegance into every word and phrase. 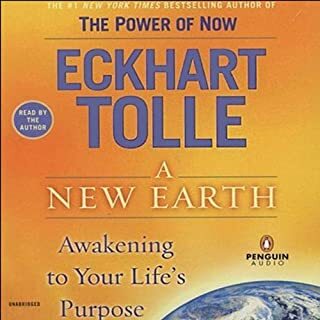 I must say, whenever road rage struck me, listening to a bit of this audiobook was always very soothing. A must read for anyone who is interested in spiritual teachings and religion of the east. 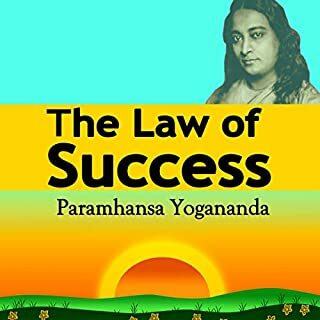 Entertaining story of Paramahansa Yogananda's life with his guru and teaching of Kriya Yoga. 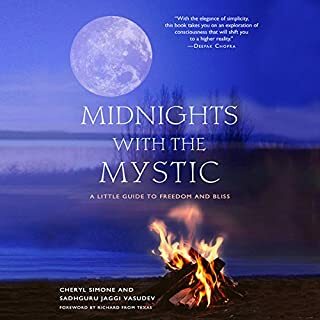 If you are inspired by the teachings of Wayne Dyer and Deepak Chopra, you will be very interested in this book. I am now inspired to go to the Self Realization Fellowship in NYC and be initiated in Kriya Yoga myself. 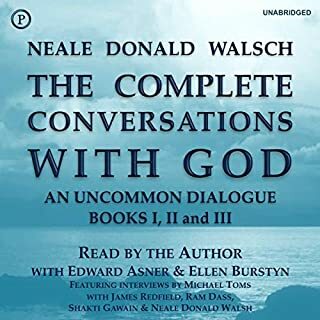 It doesn't matter what your religious understanding is - you will be uplifted and spiritually enriched by the depth of experience, love and humility of this author. Learn the truly great gift Jesus left for us, far beyond that understood from the Christian scriptures. Understand the true meaning of "In the image of God". You will never see your religious training in the same light again. 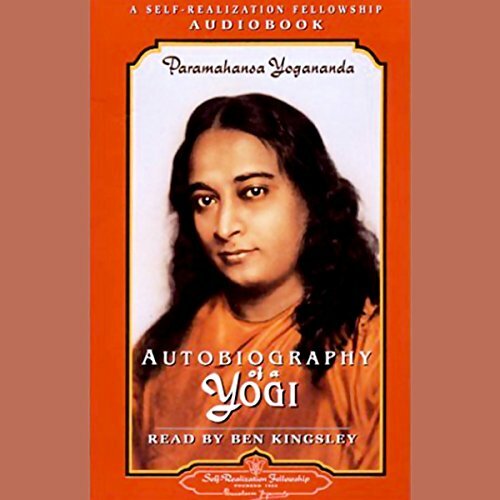 Yogananda talks about his life with great clarity using a writing style specific to the age at which he describes himself at each point of the book. The book fascinated me with the richness of India's social and spiritual traditions, which I wasn't previously aware of. The author is examplary in his dedication to pursuit of spiritual truth, which acts as an affirming beacon to modern spiritual seekers. Many details of yogic wisdom are explained, often in conjunction with author's life experiences. The stories about Indian masters are fascinating and often had me sitting in the car after I finished driving. Overall, a great combination of a biography, a novel, a cultural text and a book of wisdom and spirituality all in one. 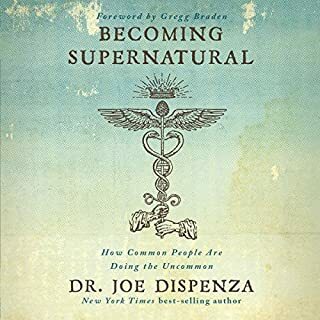 I've read many spiritual books and highly recommend this one for its particular taste. Narration is superb also, one of the best I've heard. I hate to say anything bad about this book. In fact, I can't. It was charming and insightful. Yet somehow -- in spite of the warm, inviting performance and presence of Ben Kingsley, and the inspiring and playful narrative -- this book just didn't grab me, and it was difficult to get through. Others here have given appropriate praise for this timeless gem of a book. I will instead tell you about how well it is read. Ben Kingsley gives Yogananda's words an uncanny richness and colour. In several years of Audible membership I've never been so moved by the narrator. I enjoyed Kingsley so much, I rented Ghandi [on DVD] and watched it for the 1st time in 25 years [it won about a dozen Oscars! 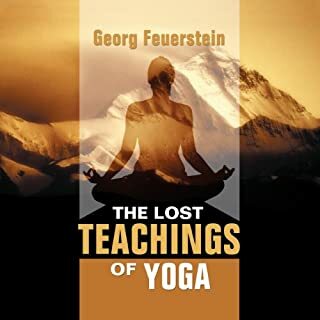 ]...from it I learned he is half Indian...which helps explain how justly he treats all the yoga terminology, all the place names, all of Yogananda's Indian terms. Search Kingsley's name and you'll see, he has read very few books, unfortunately! He no doubt was honored to read this one, as he never misses a step. I've read this 4 times now, it keeps getting better! And finally, thankfully, it has brought me to my own regular meditation practice. Stop reading about it and go get it! 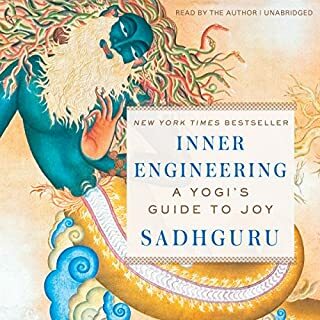 This book was the end of my search for a spiritual path. It offers a theory of the workings of the universe which unlike many others has been tested and proved right by many ancient seers and modern seekers of truth, of which the author himself was one. Here many religious dogmas and new age "mysticisms" lose their grip on the open discriminative mind. Read and Think!!! 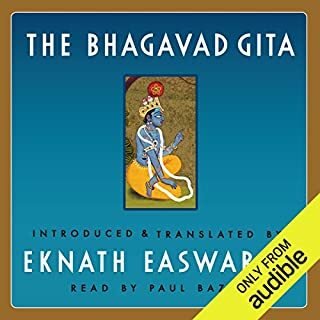 Of all the books I have ever read or listened to, this is the most beautifully written (and narrated! ), AND the most life-changing. 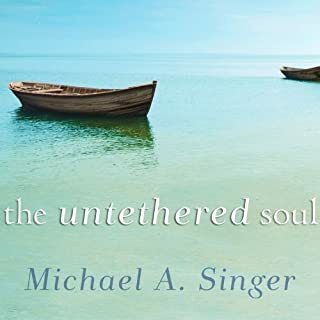 The prose is exquisite, the author saintly in his wisdom and open heart, and the message of spiritual values, beliefs, conviction, acceptance and insight, life-changing. 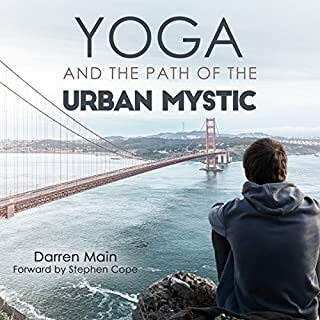 I had never really thought of yoga beyond a workout, but this book has changed my perspective and understanding beyond recognition; my eyes have been opened to a spirituality that, within itself, contains all others and gives meaning to life - now THAT'S what the world needs! Cannot recommend it enough. Well its my favorite book and was life changing for me. 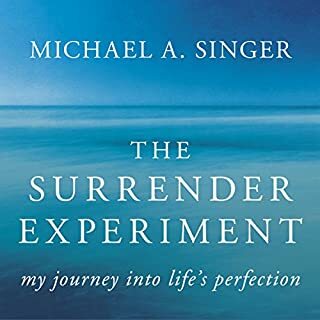 So when I took this audiobook with me on a six month spiritual journey to survive in the mountains of jamaica it was irreplaceable. I seemed like everytime i turned it on i heard what i needed or beyond. 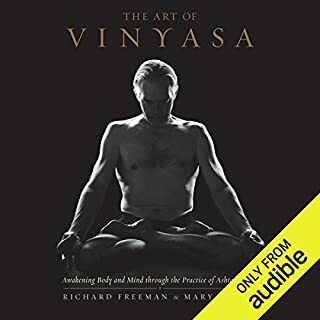 An enjoyable book detailing Paramahansa Yogananda's life and the trials, frustrations and wisdom that was revealed to him from the likes of Sri Yukteswar and Babaji. His stories are entertaining, amusing and carry great teaching. The narrative by Sir Ben Kingsley is perfect for this book and is beautifully read by him. This is a classic! Anyone interested in spiritual development this book is a must. Ben Kingsley, who narrates the book is brilliant. 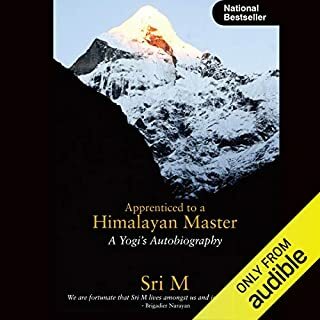 Would you consider the audio edition of Autobiography of a Yogi to be better than the print version? Yes, the narration brings it to a whole new level, you can tell Ben was really enjoying this. I really enjoyed this book, it made me look at like in an entirely different way, fans of the secret would enjoy listening to this. It took me a little while to get into this book, but once I did I am grateful I stayed with it. something should every human should read in their life time. I ha e read this book many years before but listening to it now have a different life to it. the narrative voice was very apt and cultivating. A perfectly long winded introduction to yoga. Thank you for sharing the wondrous tales of your experience Yogananda. 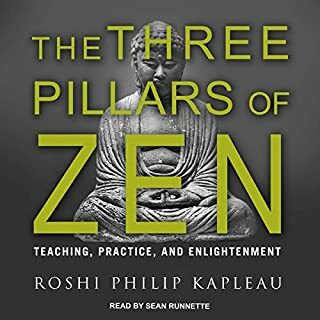 I know I have only a glimpse of what is possible spirituality, through reading this book, but it was a perfectly slow and unfolding discovery for me. I'm grateful to have fortuitously stumbled across this amazing book. At worst this is a well written, enjoyable and epic book, read by an Oscar winner. At best it is the truth you have been searching for.